Void – Voids the highlighted transaction. Refund Check – Writes a check to a customer by crediting the bank and debiting accounts receivable. Once posted, link that payment to the transactions being refunded. 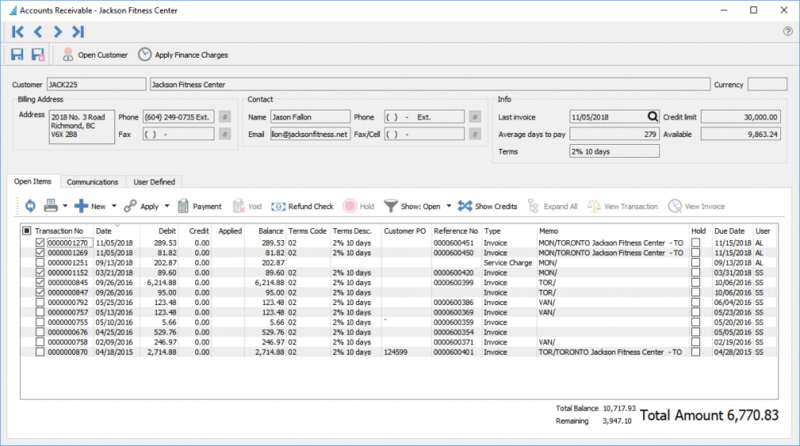 Show Credits – Puts the payment on top with the invoices it paid indented below. The Show All button will also need to be selected. 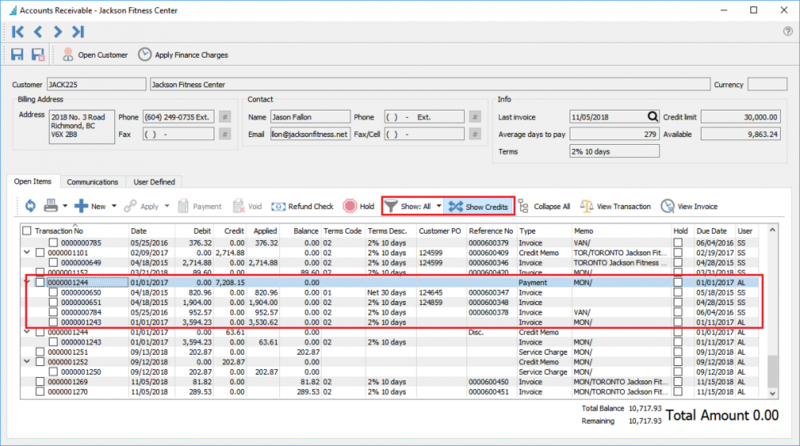 View Transaction – Views the journal entry of the highlighted transaction. Communications – Any number of notes or attachments can be added to accounts receivable. Once attached the user simply double clicks the attachment and it will open in the default viewer for that type of document. User Defined – User defined fields can be added to track and/or print.